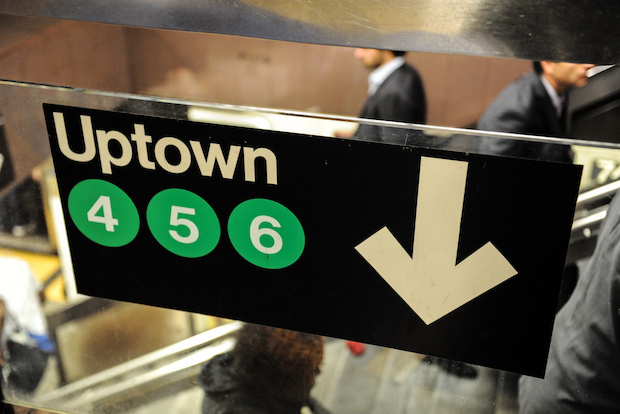 The man was found the 64-year-old man dead on the subway seat, police said. THE BRONX — A man was found dead, slumped over in his seat when his 5 train reached its last stop Tuesday afternoon, police said. MTA workers doing a sweep of a train stopped at Eastchester-Dyre Avenue station at 4:22 p.m. when they found the dead man, 65, police said. The man, who lived in Manhattan, had no apparent injuries and the Medical Examiner's office will determine his cause of death, police said. It wasn't immediately clear if any criminality was involved, but the NYPD said they're still investigating.